The following Terms and Conditions apply to all bookings. We kindly ask that you take a moment to read them. At the time of booking or at check-in, we will take your credit/debit card details and you authorise the use of this card for any sums that become owing to us. We also have the right to take full payment in advance or a deposit at the time of booking in certain circumstances or if the Booking includes the supply of certain items or services. No Booking shall be treated as confirmed until the details and/or payment/deposit described have been provided. The number of pax as confirmed at the time of booking will be the maximum number of guests (including children) we can occupy as part of your reservation. Any additional guests over the maximum may not be accommodated on arrival. Please note: we do not allow pets within the hotel. Please contact our partner hotel The Waterloo Hotel & Lodge on 01690710411 for pet friendly accommodation. 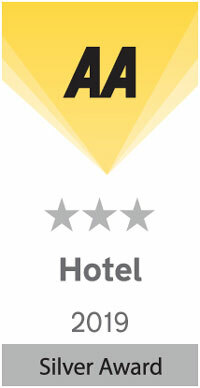 The prices displayed on the website are indicative of rates applicable to your stay. Meals, extras or service are included only if specified. A minimum length of stay, deposit, cancellation charge and other conditions may apply to certain rates, as specified. 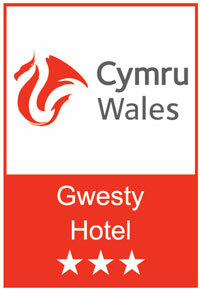 All accommodation rates are non-commissionable unless agreed in writing by the Hotel. Any VAT breakdown shown is indicative based on the current rate of VAT, and the expected VAT treatment of the goods or services, and may change depending on the actual tax point of the invoice, and the VAT treatment of the goods and services purchased at that date. The cancellation policy varies according to the rate that is booked. Please refer to the individual full rate descriptions on your confirmation details. For individual rooms on rack rate we operate a 24hr cancellation policy (by 3pm the day prior to arrival). Pre-pay Advance rates are non refundable at the time of booking. Non arrival or late cancellation will result in a charge covering the first nights’ accommodation, subsequent nights will be released. Reservations may be amended in line with the booking conditions accepted at the time of the original reservation. Changes may be made subject to those conditions and any deposit or prepayment held is subject to those booking terms at the time of the original reservation. Where the booking permits, any change to the arrival date, departure date or room type is subject to availability at the time the change is requested and may result in a possible rate change. Guests may check-in at any time from 3.00 p.m. on the day of arrival. On the day of departure we kindly ask all guests to vacate their rooms by 10.30am (unless a later departure is stated as part of your booking). Late check-out after this time can be requested subject to availability and will be charged at an hourly rate at the discretion of the hotel. Upon checking in you will be issued with a parking permit, which will allow you to park in any of our three car parks. The permit negates any need to pay and display. Spaces subject to availability. Please be aware that at certain times throughout the year some of the hotel may host weddings, events and parties, which you may feel would be an intrusion on your break. Please contact the hotel directly in advance of your stay for further information. Fire, lighting, explosion, riot, civil commotion, malicious damage, extreme weather conditions, storm, flood, burst pipes, earthquake , terrorism and the Hotel being damaged or destroyed. Breakdown of machinery, or any failure to supply the Hotel with gas, electricity, water and so on. If any of the above occurs the company will do its best to avoid any inconvenience to you or your guests. The company is not liable to any loss or consequential loss whatsoever as a result of any breach under this condition. The content and information displayed on this web site is the property of The Royal Oak (“The Royal Oak Hotel”) and/or other parties. The downloading, reproduction, or retransmission of The Royal Oak Information, other than for non-commercial individual use, is strictly prohibited. The Royal Oak’s Internet sites may contain or reference trademarks, patents, copyrighted materials, trade secrets, technologies, products, processes or other proprietary rights of The Royal Oak and/or other parties. No license to or right in any such trademarks, patents, copyrighted materials, trade secrets, technologies, products, processes and other proprietary rights of The Royal Oak and/or other parties is granted to or conferred upon you. You agree that you will not use any device, software or other instrumentality to interfere or attempt to interfere with the proper working of our site, and that you will not take any action that imposes an unreasonable or disproportionately large load on our infrastructure. In addition, you agree that you will not use any robot, spider, other automatic device, or manual process to monitor or copy our web pages or the content contained herein, without the prior express consent from an authorized The Royal Oak representative (such consent is deemed given for standard search engine technology employed by Internet search web sites to direct Internet users to this site). With respect to all communications you make to The Royal Oak Hotel or Nettability regarding The Royal Oak Hotel, including but not limited to feedback, questions, comments, suggestions and the like: (a) you shall have no right of confidentiality in your communications and The Royal Oak Hotel shall have no obligation to protect your communications from disclosure; (b) The Royal Oak Hotel shall be free to reproduce, use, disclose and distribute your communications to others without limitation; and (c) The Royal Oak Hotel shall be free to use any ideas, concepts, know-how, content or techniques contained in your communications for any purpose whatsoever, including but not limited to the development, production and marketing of products and services that incorporate such information. The Royal Oak may contain technical inaccuracies or typographical errors. The Royal Oak Hotel reserves the right to make changes, corrections and/or improvements to The Royal Oak, and to the products and programs described in such information, at any time without notice.